This is a part of the interview question for a research on e-Governance System in Nepal in the context of transition to the federalism in Nepal. Views are my personal and has nothing to do with e-Governance framework and policy set by the central and the provincial governments in the country. e-Governance in Nepal has always been a hot cake of discussion but barely things have been done to bring in tangible e-Governance system in Nepalese context of transition to federalism. Find my interview on e-Governance in Nepal implementation from central government to the federal states. This interview questions are based on a research about the e-Governance system in Nepal. It tries to address the challenges to e-governance systems due to federalism. The interview is part of the research for a master dissertation entitled “Challenges to the E-governance system of Nepal due to the Transition to federalism”. Your response will remain confidential and anonymous, so I would like to request your honest/candid responses. 1. Explain the current status and progress rate of e-governance in Nepal? I’m not sure how to answer this question. I doubt government has any progress tracking system in place. 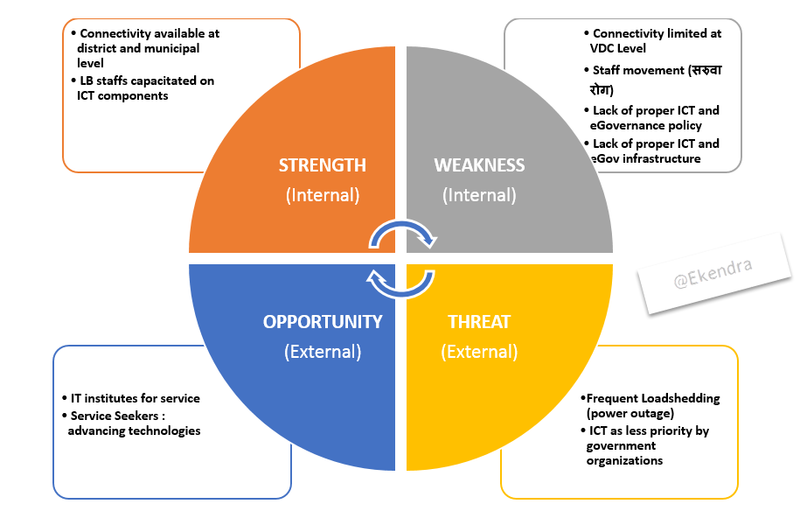 However, progress in eGov in Nepal is currently limited to increase in distributed chunk of systems operating independent of each other without any finite or primary indexing. 2. What are the main on-going and successfully implemented e-governance projects in Nepal? 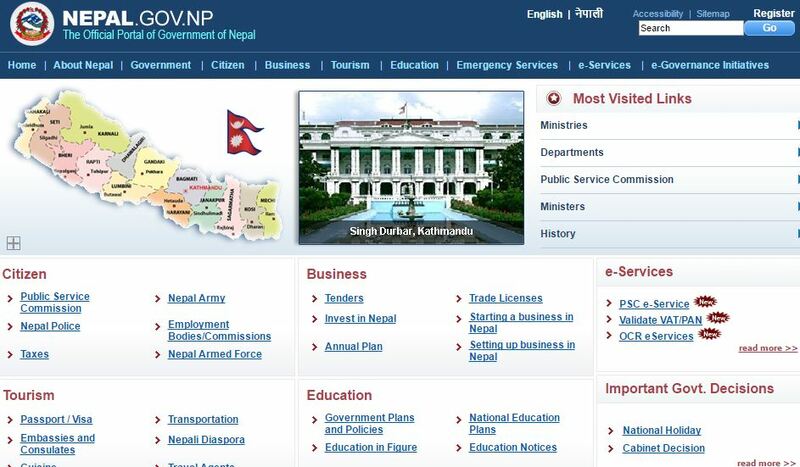 I think e-governance is not a project and there are not any projects in Nepal named e-gov projects. Rather this is a process of transiting traditional governance approach to the electronic or digital form. The classical approach Nepal has been following include but not limited to the government institution-wide web portal pertaining to right-to-information act. While they are themselves limited in information dissemination, only very few provide citizen-centric action-oriented services like digital delivery of government services and inclusive services. Other decentralized, independently operational and scattered e-gov processes being practiced include online tax portal, basic utilities payment, national government ID, poverty management information system, vital event registration systems to name a few. 3. Are you satisfied with the progress of e-governance implementation in Nepal? Why? The main problem with Nepal’s slow-paced e-governance implementation is lack of cooperation and coordination among government agencies; and ignorance of e-GMP with NGIF. As a technocrat, I’m not satisfied at all with current progress of processes towards e-governance in the country. 4. What do you think about the main reason behind why you think it is satisfying or not? This is because even the systems supposed to support e-governance are either running on standalone mode or do not carry forward a relative index or primary linkage with one another. To justify, none of the current egov systems are linked thru either citizenship number or any unique citizen identification code. 5. What about federalism? Do you think, federalism is affecting the implementation plan of e-governance? The straight forward insight says due to federalism eGov implementation would take relatively longer time to deploy digital service delivery as federal provides are unique on their implementation approach. On a greater note, each federal states are free to implement their independent approach towards any eGov processes. Federalism in fact provides opportunities for eGov to flourish in provincial level while challenging to unify and centralize eGov systems and processes. 6. What are the main challenges to implementing e-governance due to federalism? As stated earlier challenges is in obtaining uniform eGov processes at both local government level and at service seeker level. However, this challenge can be healthy competition among states towards moving into digital service delivery at both demand side and supply side. 7. What are the problems to implement e-governance on the federal state in terms of existing national infrastructure such as electricity and the internet? Since Internet is not uniformly distributed among parts of all the federal states, bias can be noticed in service delivery; as in central capital state exercising more egov processes and far west states deprived of steady connections. Electricity is currently not an issue at government level but at the citizen level only. 8. What do you think, what are the problems in terms of technical aspect such as computer literacy and human resource to develop and provide e-services? What do you think are the public mitigating factors related to the usage and acceptance of e-governance such as computer literacy and human resource considering the its technical nature? Demand side of eGov services in Nepal is limited to cities and district/province centers only. However, supply side has to deliver digital services equally despite citizen’s computer literacy rates. On the other side, government has no priority over creating skilled human sources that could expedite egov implementation. 9. What do you think about the security (cybersecurity and information security) of the current e-governance system in Nepal, is this secure enough? And what are the main problems in terms of security to implement e-governance on the federal state? Nepal government has already introduced digital signatures and placed provision for stringent cybersecurity however government agencies fail to implement at-large due to either budgetary constraint or human source or both. We have not heard any e-gov processes or systems failing to implement solely due to security related threats. 10. What about the cost to make decentralized e-governance system? what are the main obstacles to the implementation of e-governance in terms of socio-economic factors? Cost is not any obstacle towards egov implementation in Nepal, neither are any socio-economic factors. It is government’s priority that needs to foster egov. 11. Do you think there are any legal problems existing with the current e-governance system? Explain what can be the legal problem to implement e-governance in federal state of Nepal? Since all eGov processes and systems are directly operational under the government under taking, I don’t see any legal issues with the current or future systems. 12. 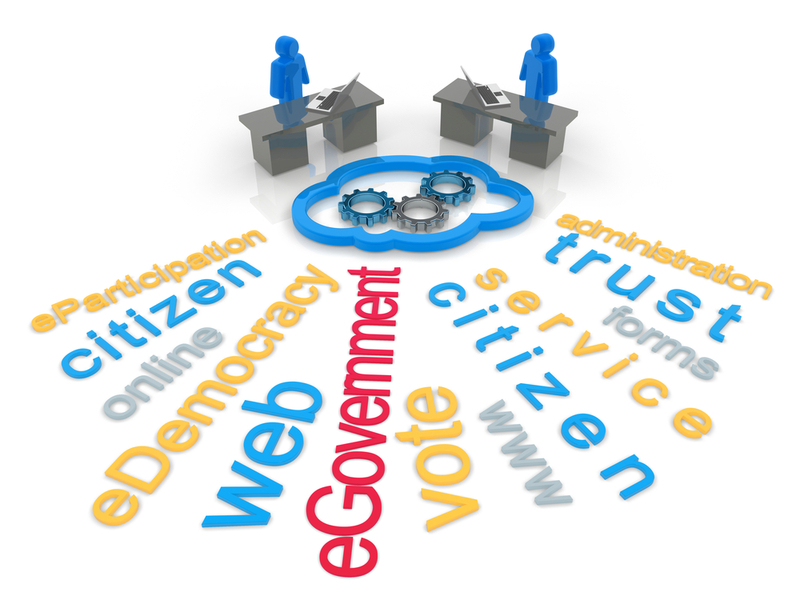 Political desire or will is a key factor to implementing e-governance. Do you think there are any hindrances or problems associated with the political leadership and political parties towards the implementation of e-governance in the different federal state? We have never seen any political parties serious about introducing e-governance practice in the country. The problem is with the leadership and tends to continue with the federal states. 13. Do we have proper e-governance change management strategies developed and to be implemented according to federal constitution? So far none change management strategies have been implemented but one such have been suggested by national eGMP. 14. Do you think any amendment is necessary for EGMP (e-governance master plan)? What can these changes be if any and what can be the challenges making these changes? Second edition of eGMP has revised limitations of the initial draft of eGMP however it is the implementation priority that government has to make. I don’t see any specific amendments necessary for current eGMP, however, changes are inevitable once eGov systems start rolling. 15. Lastly, say something about e-governance progress, federalism, and challenges for e-governance system due federalism. eGov is not a-la-carte rather connected series of various processes and systems. This practice can be implemented with federalism. With centralized government system unified egov processes could be dispatched at federal levels. However, on the other side of independence and custom requirement, federal states can initiate their own egovernance requirements. Thus, challenges to existing centralized egovernance practice, if any, provide opportunities for the federal states to ameliorate shortcomings and address federal requirements. The context and contents are for referential purposes only and used by a student of “e-Governance” for his research work. I’m available for explanation or further queries on the same.